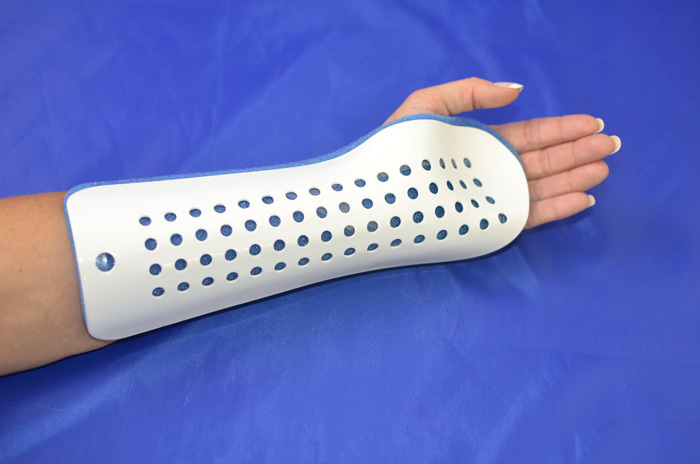 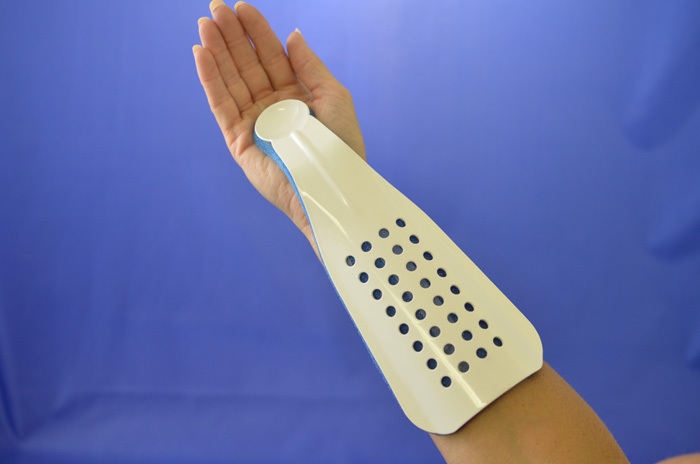 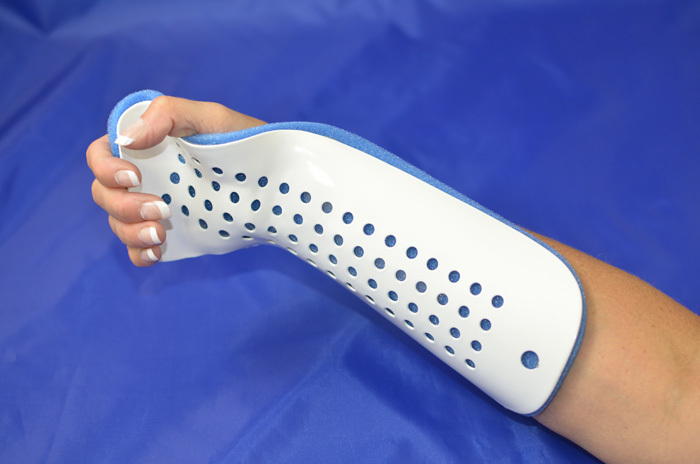 Places the wrist in abduction and supports the radial curve. 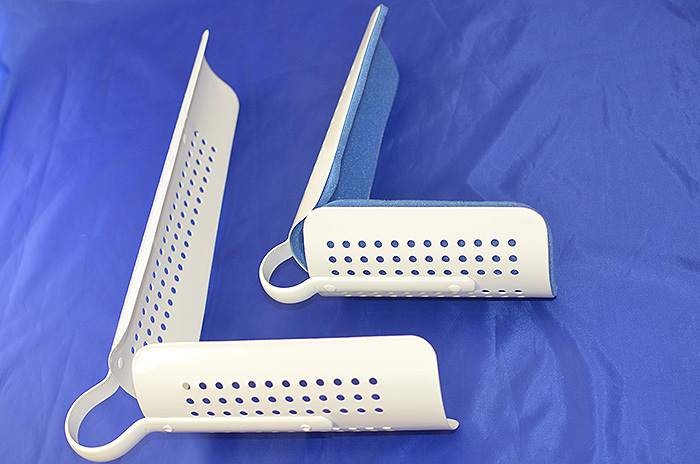 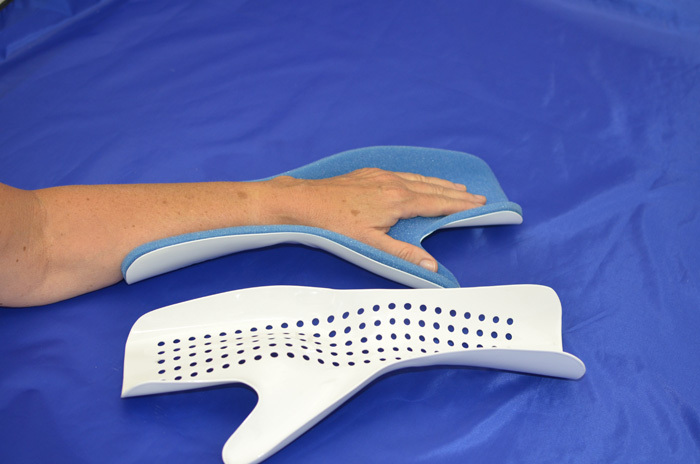 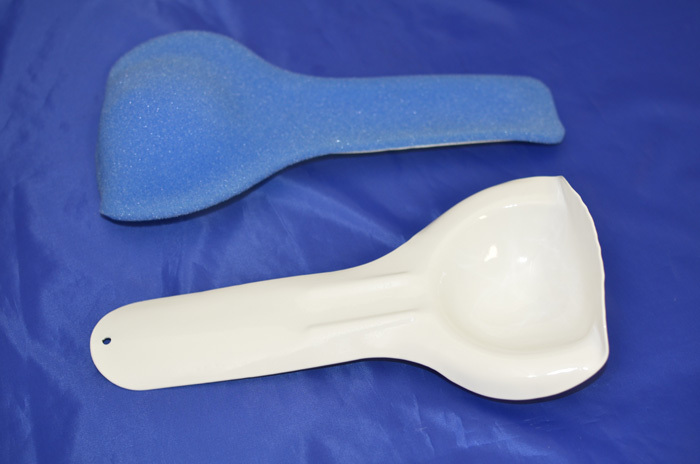 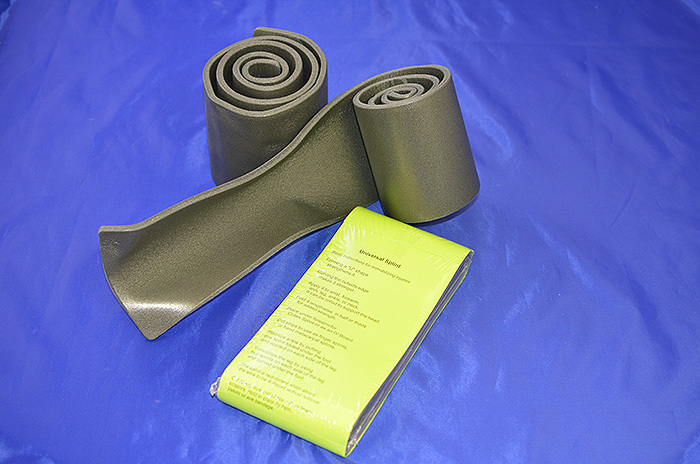 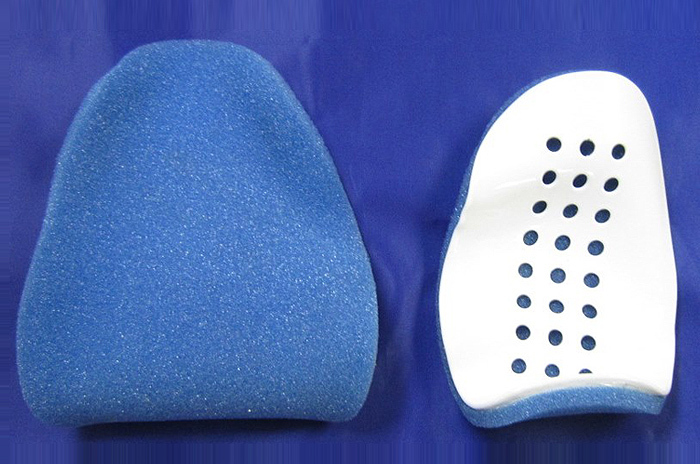 Can be fitted to correct angle of flexion by bending and twisting at the indicated locations. 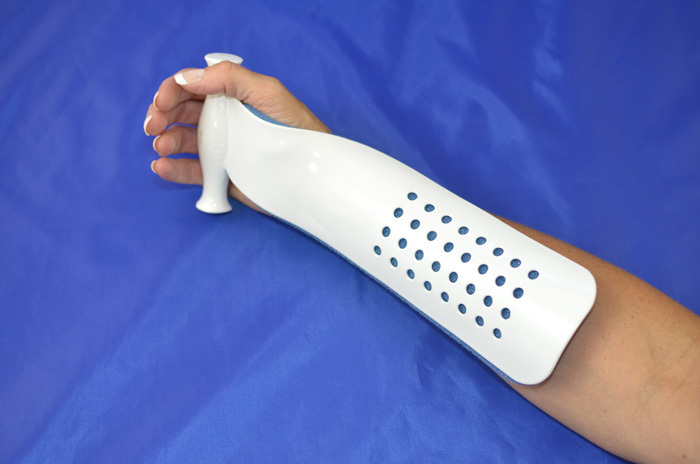 Hand piece is solid aluminum contoured to fit the hand.